Total Cryptos (TC) @ www.totalcryptos.com is a data information analysis engine built and maintained by Bloc10 a Blockchain FinTech Cryptocurrency Development company. Total Cryptos aggregates Cryptocurrency data from major exchanges and combines them into our own “Total Cryptos” price. As there is no central exchange for Crypto currencies, prices can vary from exchange to exchange. 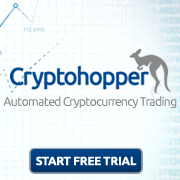 So we provide both raw prices and their sources on our website www.totalcryptos.com as well as our own aggregated price referenced as "TC" or “Total Cryptos.” Finally, we provide this price for use on your own website via free API service. Our development teams are always working on other ways to serve data, such as our upcoming wordpress widget. > 80% of the world’s websites are powered by Wordpress, so by offering a Wordpress widget we are offering any website owner the ability to tap into Total Cryptos data and pricing engine via free plugin. Total Cryptos. Information. Decision. Results. TCw100 is weighted, meaning that the larger the market cap, the more value is given to that Cryptocurrency. As of this writing, Bitcoin (BTC/USD) is roughly 44% of all market value in the Crypto market, which is more than all the competition combined. But it is a rapidly evolving market and this is not likely to remain the same. The formula is SUM ( nPrice x ((Sum nMarketCap)/100)) ) / 100 such that Sum nMarketCap/100 becomes a weighted value. Bitcoin will have a higher weight because the market cap will be a higher % and thus more significant.